Don't Starve collectables and a new 8" Mark of the Ninja vinyl are available now in our new online store! I love the Klei Store! I think its funny how no one is seeing this because they are all looking in the DS section... I am gonna get some as soon as I can. Keep up the good work, Klei! How many of these figures are produced? I'll have to ask our marketing team for that info once they are back in the office, but I know it is a relatively small number. It is a limited run for now, but if there is enough interest, we may look at making more. THAT MOTN figurine will be MINE!!! Too bad UPS is taking 46$ for a shipment to Romania.. I totally missed the announcement of the MotN figure, I just ordered one!! Amazing quality much better than the version on Fangamer awhile back. Can't wait to get it thanks guys! Yeah, I've got a version of both the older one, and the newer one. We're really happy with the way the new figures turned out. I just got my MOTN figure in and it is beautiful, it was missing the Oni head however I also got my don't starve figures in (whole display box plus a box of 8) and Wes was missing his umbrella. Other than that these are beyond beautiful, great work! I've posted a link to this thread to our head of marketing to look into the missing items with your toys, in case it is a wider spread issue. EDIT: Talking with the support team, it sounds like they've already responded to you via email about the missing items. For anyone else having similar issues, you can contact support@kleientertainment.com about any issues with Klei Store orders. I feel like the price is a bit to high. 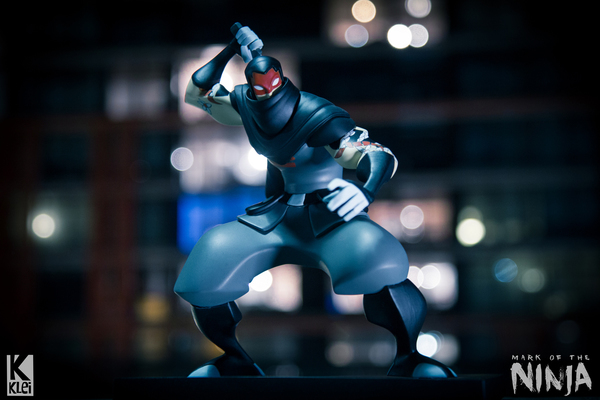 I bought a Xbox controller for 20 pounds, and one of those ''limited'' mark of the ninja figures costs 50! Thats like two and a half Xbox controlers! Im also sawing up for something else. I dont think i will spend 50 pounds from my pocket money on this. Sorry, no offense.